Posted by Nicole Richards on Thursday, October 30th, 2014 at 2:32pm. Is there a more of an amusing way to thrill the weekend than it being Halloween? Performances, scary movies, drink specials and frightening or maybe even goofy costumes! Even if you have not prepared any plans for Friday night yet, there is no excuse to stay home-base with the porch lights off and mope around street corners watching the carnival of people pass by. The Fort Lauderdale and Palm Beach County have plenty of fun and entertaining events that don’t need reservations, plus some parties have chances to win cash prizes! • Fright Nights- South Florida Fairgrounds: 6:00p.m.-12:00 a.m.
• Trick or Beats Festival Day One- Sunset Cove Amphitheater: 5:00 p.m.-11:00 p.m.
• Halloween Costume Ball- The Funky Biscuit: 9:00 p.m.
• Tim Burton Halloween Spectacular Show- Revolution Live: 10:00 p.m.
• Quentin Tarantino-themed costume party- Stache 1920’s Drinking Den: 6:00 p.m.
• Trick-or-Treating at the Museum- Museum of Discovery and Science:6:00 -9 p.m.
• Rocky Horror Show Live- Andrews Live Art Studio: 8:00 p.m.
• Halloween Bash- America’s Backyard: 5:00 p.m. 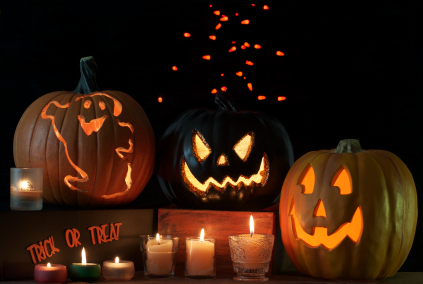 Enjoy the Holiday & Happy Halloween!